Thank heavens for those who share their recipes with their loved ones and teach them how to make them. Historical Society member Sandi Knippelmeyer remembers seeing a tombstone in Missouri for which the epitaph was the lady's potato salad recipe, "the whole thing. It said something like, I didn't take the recipe to my grave." Here are some of the recipes shared with loved ones and now shared with us. Noodles? Better ask Dorothy Penkava! Sue was one of the children of C. H. and Fannie Norris. Her maternal grandparents were C. W. and Clarissa Giddings, C. W. being considered the founder of Table Rock. Sue was born in March 1864, just months before the horse thieves were caught and hung at Christmastime of 1864, just a year shy of the end of the Civil War in April 1865. Sue saw the changes in Table Rock from the early pioneer days on. She had moved to Table Rock when she was a very small child. There were not many people in the Table Rock area then, but that would change when Sue was 7 and the railroad came to town. Sue married Edward Phillips in 1885 and had four children. She died in 1957 at age 92, having lived here virtually her whole life, and is buried in the Table Rock Cemetery. 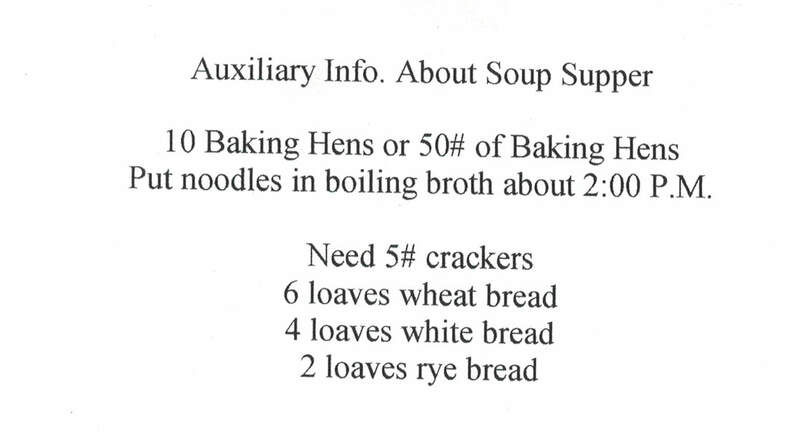 Here’s the recipe with my notes. Aunt Sue seemed to always have these available – but maybe she made them when she knew we were coming. Wrapping up a hundred caramels is tedious work, especially since she cut wax paper squares for each. I use mini cupcake papers (candy sized) – so much easier! I just stack them. They pull apart easily and stay fresh a long time. Or, I wrap an uncut row/strip in wax paper to cut with scissors when I need them. -- Mix 1st 4 ingredients, EXCEPT ½ of the cream. Stir constantly until sugar dissolves. -- Add 1 c. of the cream after mixture starts to boil. Add slowly so as not to stop the boiling. Use an extra large, heavy pan with high sides. Grease bottom and sides of 9x13or 9x9 inch pan to pour the caramels into. 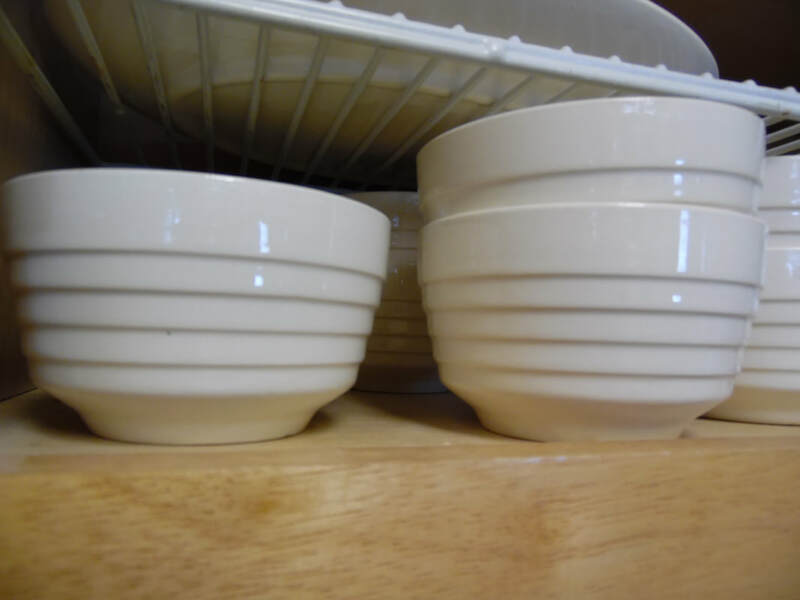 ​Line the bottom with parchment paper. Grease the top of the parchment paper. 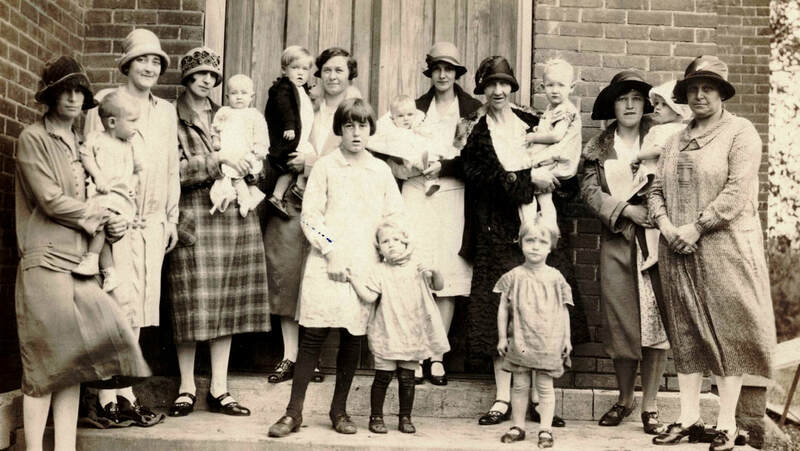 Marian married Arley Goodenkauf and they had three children, Owen, Marty, and Laurie. She worked as a postal clerk. She had graduated in 1945. For the class's 55th reunion, she prepared a booklet that had one page for each class member, with basic information (address, phone, husband and children's names, occupation) but also included interesting tidbits. One of Marian's own tidbits was a remembrance about a recipe at school prior to the blessing of the two Ann Hanna cooks. 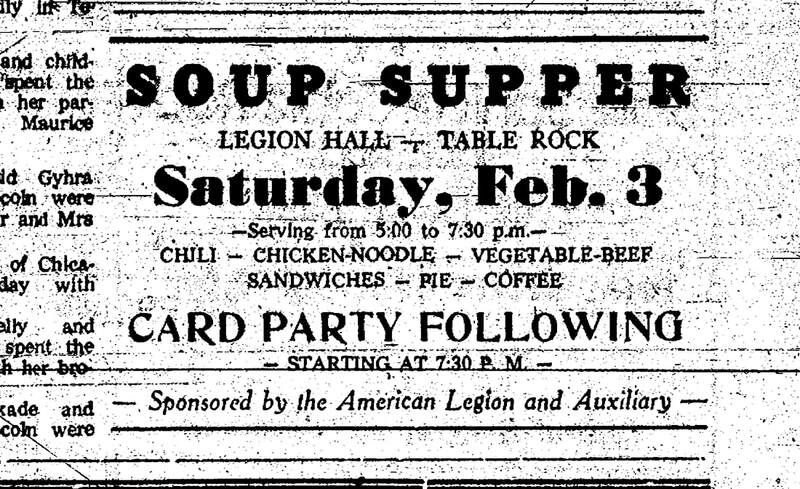 She remembered, as did all of her classmates, "soybean soup." She said that it was "so bad the kids left school en masse for the hamburger joints down town! It must have been pure soy meal, water, salt, and pepper. 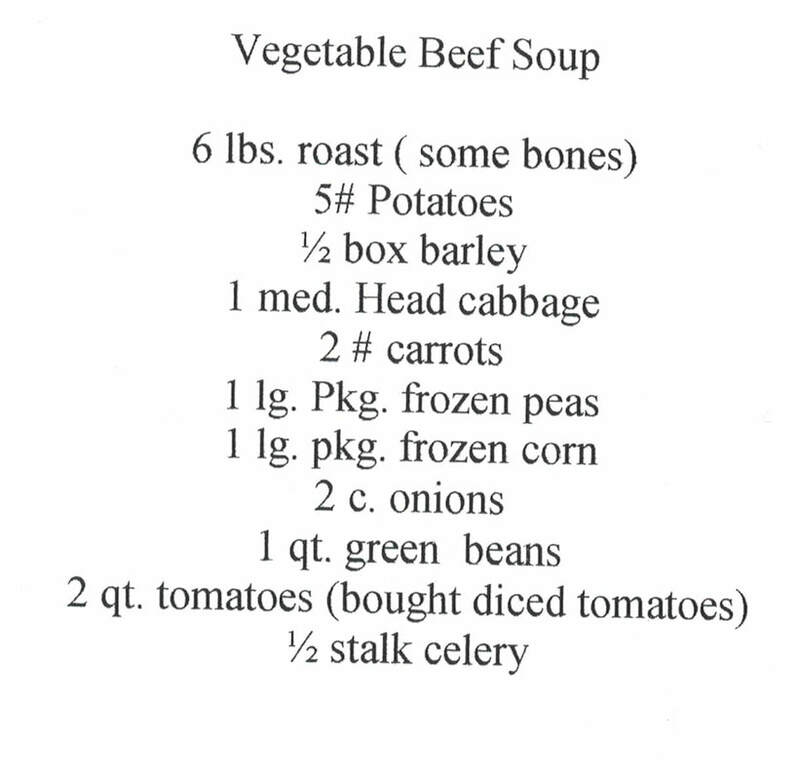 No doubt the government dieticians were paid big bucks to come up with this recipe!" Marian as a baby, in the arms of her mother Laura Day. They are the fourth mother & child from the left. This is a 1928 picture of the Ladies' Aide Society of the Christian Church; they are on the steps of the church. 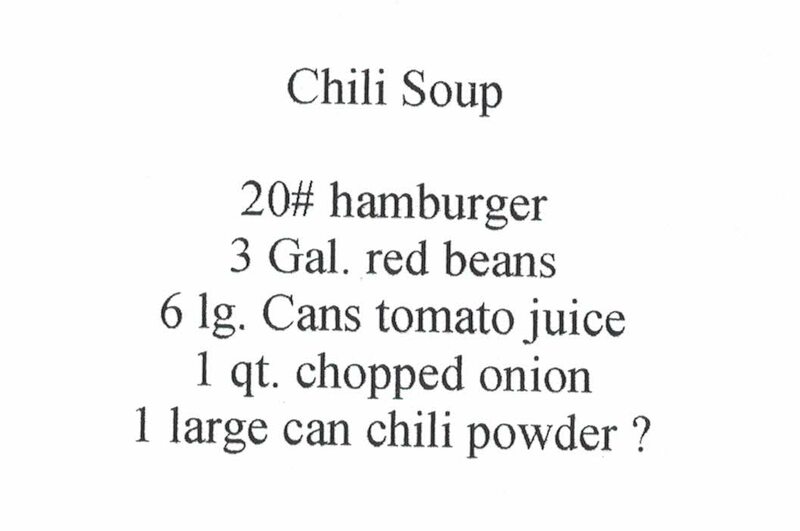 It's just a pound of hamburger and a diced onion cooked up, then you add a ton of garlic, salt, pepper, and chili powder, then a can of tomato paste and you add the beans for the last 5 minutes. You can use flour to thicken it up and add chili flakes if you like it spicier. Bessie Snabl Rexroth was born in 1909. In 1934, she married Albert Rexroth. She had no children except for the hundreds of chidren who called her teacher over the many years that she taught, first in country school and then in town. Bob Blecha shared a vignette of Bessie as a country school teacher, with a little girl who had come to be in the first grade. The little girl's family spoke Czech at home and she was desperate to be taught in Czech. She knew that Bessie spoke Czech and stood at Bessie's knee, trying to wheedle her to say something to her in Czech. Bessie kindly said, "No, we speak English when we are in school." And that was that. Bessie died in 1993. In the Maple Grove Country School museum is one of Bessie's scrapbook's in which she kept treasured pictures of her and some of her students over her years of teaching. 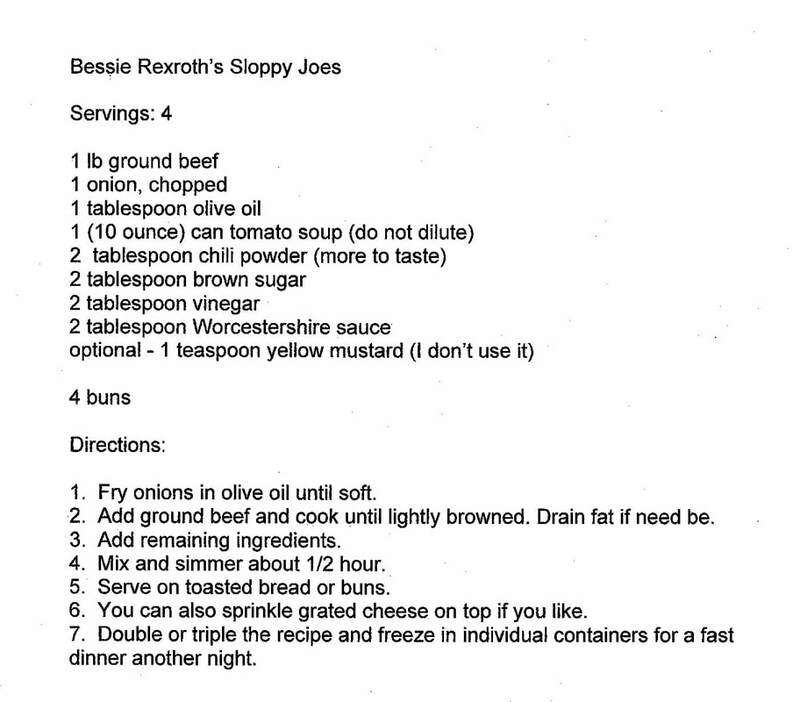 We owe Cat Bernadt Tucker for preserving and sharing this recipe. 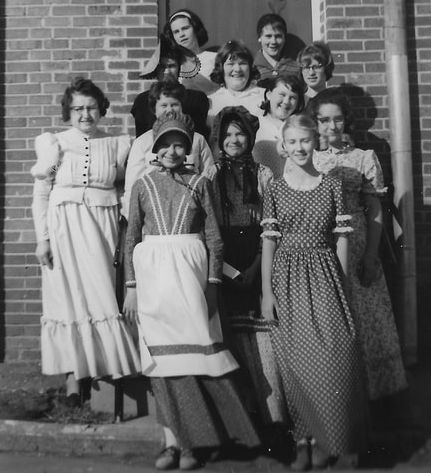 Bessie in 1967 with 7th & 8th grade students dressed as pioneers to celebrate the Nebraska Centenniel. Photo shared by Sharla Sitzman Cerra. The Pawnee Republican newspaper features a cook of the month. In 2017, the cooks included Ronnie Gilbert and Sharla Sitzman Cerra. Some of their recipes were shared in the articles. Ronnie one of the sons of George and Irma Vondrasek Gilbert, who at one time ran the Reno Inn. Ronnie graduated in 1957. George Gilbert carves a Thanksgiving turkey at the home of Ed and Emma Tomek in the mid-1950s, shared by Edward Tomek. Bob & Becky Sitzman's family in about 2003.